This beautiful bracelet from the Thomas Sabo Love Bridge collection is the perfect gift for someone special symbolising the special and unbreakable bond between two souls. 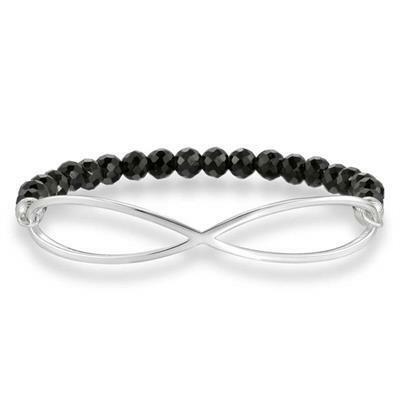 This elegant accessory is made with a string of beautiful black obsidian and features a bold infinity symbol crafted with 925 sterling silver. The faceted cut of the semi-precious stone gives this bracelet a soft sparkle that won't go unnoticed.